Alexandra was born in Michigan, but moved to the small town of Hollister, California at an early age. Living in a small town humbled her, but simultaneously gave her incentive to work hard so she could pursue opportunities in a bigger city. After growing up on the Central Coast for 13 years, Alexandra attended the University of California, Los Angeles. During her time in college, she possessed three digital marketing internships, learning the ins and outs of an evolving technological era. After graduating with a degree in Economics and emphasis in Entrepreneurship, she was presented the opportunity to move closer to family on the East Coast. She immediately fell in love with Myrtle Beach and saw a fitting opportunity to pursue a career in Real Estate, where she could combine her passion for people, marketing, and an evolving real estate market on a daily basis. In all of her professional experience, Alexandra valued the relationships formed with those around her above anything. She developed not only technical skills, but customer service and ethics in all of her dealings. At a more personal level, her family instilled values in her that she carries with her in every interaction. Trust, responsibility and kindness are the forefront of how she aims to treat every person she comes into contact with. She owes her success in previous positions to her ethical roots, and believes working in real estate goes beyond finding and selling houses for clients. A bigger and more critical goal for her starts with developing genuine lifelong relationships with those she works with, and prioritizing matching the right homes with the right people. Alexandra believes success comes from hard work, and good business comes from good ethics. During her free time, she enjoys spending time with friends and family, running, being out on the water, and watching sports (specifically football!). She is a people person all around, which triggered the initial desire for a long term career in real estate. 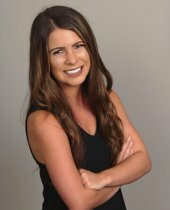 If you’re looking to buy or sell anywhere near or on the grand strand, Alexandra will provide you top notch service from beginning to beyond closing!